(LWI) - The Synodal Council of the Evangelical Church of Czech Brethren (ECCB), a member church of The Lutheran World Federation (LWF), in an open statement has expressed concern over the Czech government’s decision to not take in any refugees from a group of people who had been rescued from a fishing boat in the Mediterranean. The statement was issued in mid-July, after 450 people had been recovered from a fishing boat in the Mediterranean. When the Italian government asked for solidarity of other European countries in taking some of the people, the Czech Republic announced it would not take in any of these migrants. “We want to express our concern about this attitude of the Czech government. We see it as showing a lack of solidarity both towards people in immediate danger and to our partners within the European community. By its rejection, the Czech Republic is betraying the principles of the civilized world, principles on which it relies, and which, among other things, are based on the tradition and values of the Christian faith,” the statement which was delivered to the Government Office of the Czech Republic and the Ministry of Foreign Affairs in Prague, reads. The Synod Council of ECCB. We are sure that our state is able, in cooperation with other European partners and institutions, to take appropriate action against economic migration and organized human trafficking. At the same time, we trust both state and non-governmental organizations, and we feel that our society has enough self-confidence, moral strength and effective mechanisms to support those really in need. According to the statement, ECCB had been asked previously for support by the Federation of Evangelical Churches in Italy. “Initially, the statement was meant to be a reaction to a specific sea rescue operation in mid-July, which had been very much publicized by the media,” says Oliver Engelhardt, Head of the Department for Ecumenical and International Relations of the ECCB. 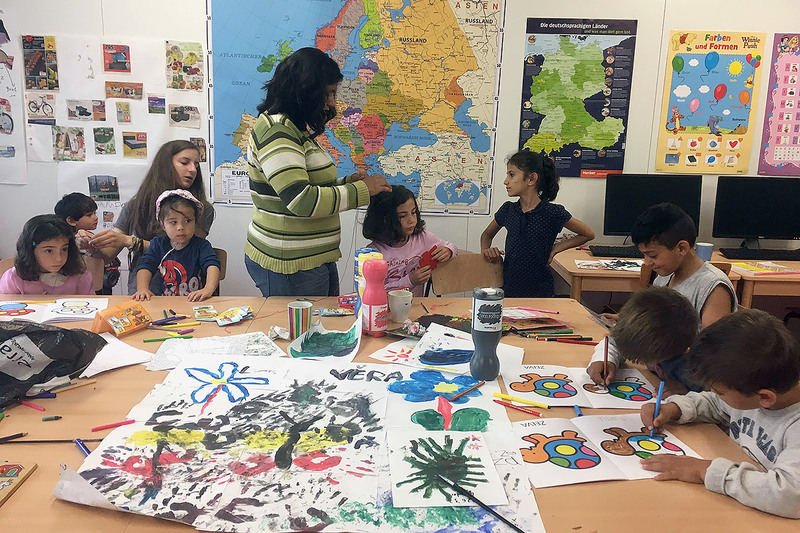 A Czech Diaconia activity supporting migrant and refugee children. The ECCB has had a long-term diaconal engagement for refugees and migrants. Diakonie ČCE (Diaconia of ECCB) runs two centres working with refugees and migrants, inside and outside the Czech Republic. It’s domestic program “DOMA” brings together migrants and Czech citizens, helping refugees and migrants to better integrate in Czech society while enabling the local population, who normally have little contact with foreigners, to meet refugees in person, making them less vulnerable to xenophobic propaganda. Since 2017, dozens of activities were organized in altogether seven cities in the Czech Republic, including Prague. ECCB has also together with the Austrian Bible Society and the Gustav-Adolf-Foundation Germany organized an exhibition “God loves the stranger”. The exhibition combines Biblical quotes on dealing with foreigners with current debates and examples on the treatment of refugees and migrants. 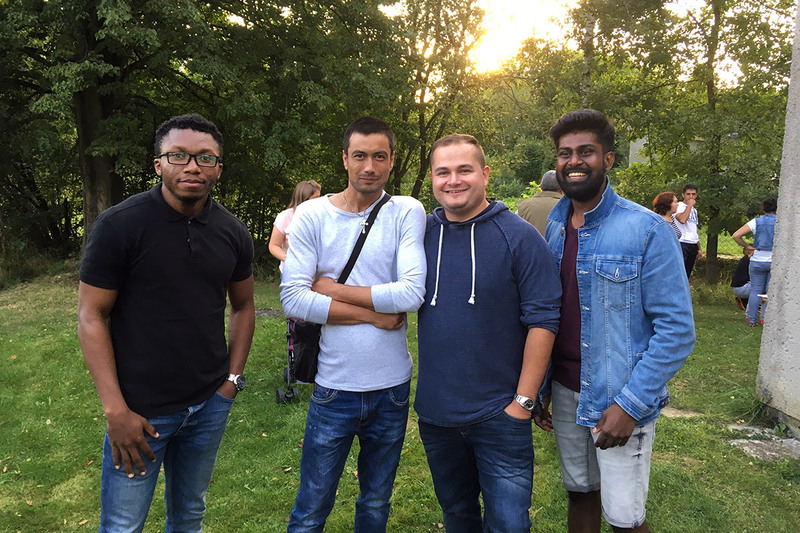 The projects help refugees and migrants integrate into Czech society, while promoting an atmosphere free of prejudice and xenophobia.